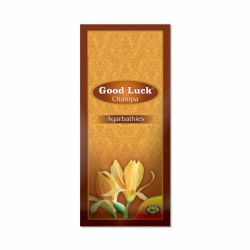 Good Luck Champa Agarbathies release a divine fragrance with a soft and spicy sweetness, turning you.. 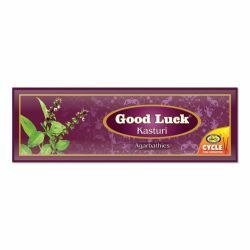 Turn your home into a retreat of tranquillity with Good Luck Kasturi Agarbathies. This timeless clas..
A blend of Sandalwood, floral extracts, herbs and spices, Good Luck Javadhu Agarbathies create a clean and calm atmosphere in your home and surroundings. The soothing tender fragrance with mild woody tones of this Agarbatti gives you a sense of comfort and stimulates your mind. 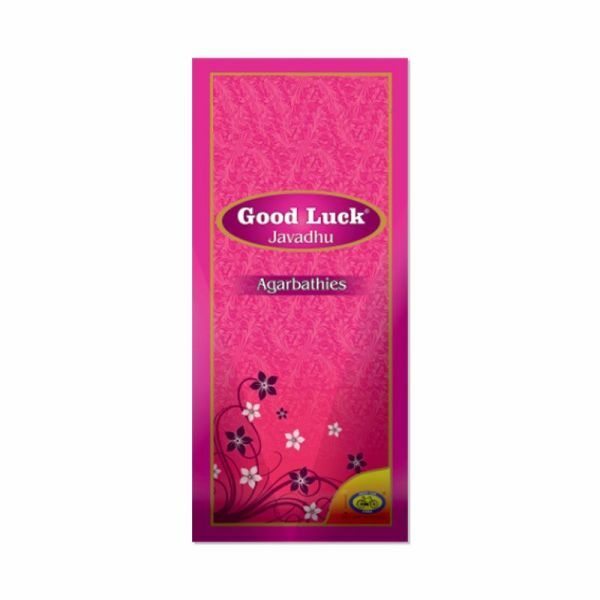 Bring home this traditional yet contemporary fragrance and start your day with this good luck classic.Considered as the creation of royals, Javadhu is a divine and ancient fragrance extracted from natural herbal plants. Also known as ‘the perfume from paradise’, Javadhu in the form of incense is used for worship, ritual purification, and aromatherapy.